Wait, Is This River Floating? NASA Astronaut Scott Kelly just tweeted this photo, that he took from aboard the International Space Station. You can see the Bighorn River, which stretches through Wyoming and Montana... and, wait, why does it look like it’s floating? 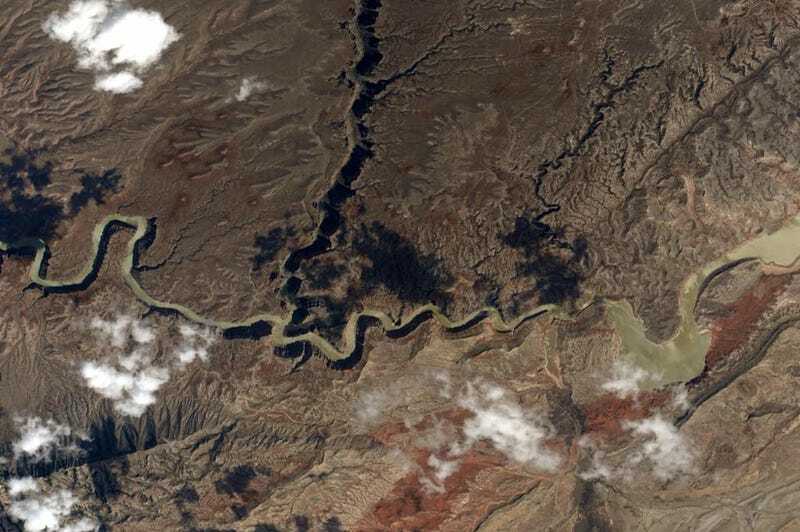 The explanation for this optical illusion is known as relief inversion, and you may often experience it when looking at satellite photos taken in such a way that the Sun illuminates the landscape from below. This jars with our common (unconscious) expectation derived from everyday experience of the Sun shining on objects from above. Our brain finds it hard to interpret the sight.